In this Japanese name, the family name is Kujō. Kujō Yoritsune(九条 頼経, February 12, 1218 – September 1, 1256, r. 1226–1244), also known as Fujiwara no Yoritsune, was the fourth shōgun of the Kamakura shogunate of Japan. His father was kanpaku Kujō Michiie and his grandmother was a niece of Minamoto no Yoritomo. His wife was a granddaughter of Minamoto no Yoritomo and daughter of Minamoto no Yoriie. He was born in the year (according to Chinese astrology) of the Tiger, in the month, on the day, and so his given name at birth was Mitora (三寅, "Triple Tiger"). The Shōgun was the military dictator of Japan during the period from 1185 to 1868. The shogunate was their administration or government. In most of this period, the shōguns were the de facto rulers of the country, although nominally they were appointed by the Emperor as a ceremonial formality. The shōguns held almost absolute power over territories through military means. Nevertheless, an unusual situation occurred in the Kamakura period (1199–1333) upon the death of the first shōgun, whereby the Hōjō clan's hereditary titles of shikken (1199–1256) and tokusō (1256–1333) dominated the shogunate as dictatorial positions, collectively known as the Regent Rule (執権政治). The shōguns during this 134-year period met the same fate as the Emperor and were reduced to figurehead status until a coup d'état in 1333, when the shōgun was restored to power in the name of the Emperor. The Kamakura shogunate was a Japanese feudal military government of imperial-aristocratic rule that ruled from 1185 to 1333. The heads of the government were the shōguns. The first three were members of the Minamoto clan. The next two were members of the Fujiwara clan. The last six were minor Imperial princes. 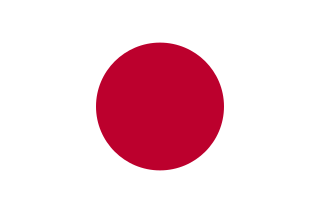 Japan is an island country in East Asia. Located in the Pacific Ocean, it lies off the eastern coast of the Asian continent and stretches from the Sea of Okhotsk in the north to the East China Sea and the Philippine Sea in the south. Yoritsune was a member of the great Fujiwara clan. The Kujō family was one of the five branches of the historically powerful Fujiwara clan of courtiers. Fujiwara clan, descending from the Nakatomi clan and through them Ame-no-Koyane-no-Mikoto, was a powerful family of regents in Japan. Kujō family was a Japanese aristocratic kin group. The Kujō was a branch of the Fujiwara clan. Kujō Michiie was a Japanese regent in the 13th century. He was the father of Kujō Yoritsune and grandson of Kujō Kanezane. He was the father of Norizane and Yoritsune. His third son Ichijō Sanetsune was the founding father of Ichijō family, while his second son Nijō Yoshizane founded Nijō family. Kujō Yoritsugu, also known as Fujiwara no Yoritsugu, was the fifth shōgun of the Kamakura shogunate of Japan. His father was the 4th Kamakura shōgun, Kujō Yoritsune. At the age of seven, in 1226, Yoritsune became Sei-i Taishōgun in a political deal between his father and the Kamakura shogunate regent Hōjō Yoshitoki and Hōjō Masako who set him up as a puppet shogun. A regent is a person appointed to govern a state because the monarch is a minor, is absent or is incapacitated. The rule of a regent or regents is called a regency. A regent or regency council may be formed ad hoc or in accordance with a constitutional rule. "Regent" is sometimes a formal title. If the regent is holding his position due to his position in the line of succession, the compound term prince regent is often used; if the regent of a minor is his mother, she is often referred to as "queen regent". Hōjō Yoshitoki was the second Hōjō shikken (regent) of the Kamakura shogunate and head of the Hōjō clan. He was the eldest son of Hōjō Tokimasa and his wife Hōjō no Maki. He was shikken from the abdication of his father Tokimasa in 1205 until his death in 1224. Hōjō Masako was a political leader, and the eldest daughter of Hōjō Tokimasa by his wife Hōjō no Maki. She was the sister of Hōjō Yoshitoki, and was married to Minamoto no Yoritomo, the first shōgun of the Kamakura period. She was also the mother of O-Hime, Minamoto no Yoriie and Minamoto no Sanetomo, the second and third shōguns. September 1, 1256 ( Kōgen 1, 11th day of the 8th month): Kujō Yoritsune, also known as Fujiwara Yoritsune, died at the age of 39 years. Karoku (嘉禄) was a Japanese era name after Gennin and before Antei. This period spanned the years from April 1225 to December 1227. The reigning emperor was Go-Horikawa-tennō (後堀河天皇). Hōjō Yasutoki was the third shikken (regent) of the Kamakura shogunate in Japan. He strengthened the political system of the Hōjō regency. The shikken was a titular post held by a member of Hōjō clan, officially a regent of the shogunate, from 1199 to 1333, or during the Kamakura period, therefore it was head of the bakufu (shogunate). It was part of the era referred to as Regent Rule. The years in which Yoritsune was shogun are more specifically identified by more than one era name or nengō . ↑ Nussbaum, Louis-Frédéric. (2005). "Fujiwara no Yoritsune" in Japan Encyclopedia, p. 212 , p. 212, at Google Books. ↑ Titsingh, p. 242 , p. 242, at Google Books; Varley, H. Paul. (1980). 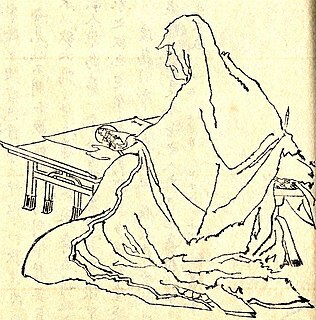 Jinnō Shōtōki, p. 272. Emperor Go-Saga was the 88th emperor of Japan, according to the traditional order of succession. This reign spanned the years 1242 through 1246. Minamoto no Yoritomo was the founder and the first shōgun of the Kamakura shogunate of Japan. He ruled from 1192 until 1199. His Buddhist name was Bukōshōgendaizenmon (武皇嘯原大禅門). Minamoto no Yoriie was the second shōgun (1202–1203) of Japan's Kamakura shogunate, and the first son of first shōgun Yoritomo. His buddhist name was Hokke-in-dono Kingo Da'i Zengo (法華院殿金吾大禅閤). Minamoto no Sanetomo was the third shōgun of the Kamakura shogunate. He was the second son of the Kamakura shogunate founder, Minamoto no Yoritomo. His mother was Hōjō Masako and his older brother was second Kamakura shogun Minamoto no Yoriie. Prince Munetaka (宗尊親王) was the sixth shōgun of the Kamakura shogunate of Japan who reigned from 1252 to 1266. Kōgen (康元) was a Japanese era name after Kenchō and before Shōka. This period spanned the years from October 1256 to March 1257. The reigning emperor was Go-Fukakusa-tennō (後深草天皇). Kangen (寛元) was a Japanese era name after Ninji and before Hoji. This period spanned the years from February 1243 to February 1247. The reigning emperor was Go-Saga-tennō (後嵯峨天皇). Ninji (仁治), also called Jinji, was a Japanese era name after En'ō and before Kangen. This period spanned the years from August 1240 to January 1243. The reigning emperors were Shijō-tennō (四条天皇) and Go-Saga-tennō (後嵯峨天皇). Ryakunin (暦仁) was a Japanese era name after Katei and before En'ō. This period spanned the years from November 1238 to April 1239. The reigning emperor was Shijō-tennō (四条天皇). Katei (嘉禎) was a Japanese era name after Bunryaku and before Ryakunin. This period spanned the years from September 1235 to November 1238. The reigning emperor was Shijō-tennō (四条天皇). Kangi (寛喜), also romanized as Kanki, was a Japanese era name after Antei and before Joei. This period spanned the years from March 1229 to April 1232. The reigning emperor was Go-Horikawa-tennō (後堀河天皇). The midaidokoro (御台所) was the official wife of the shōgun. During the Edo period, she resided in the Ōoku of Edo Castle and sometimes wielded considerable political power behind the scenes. Mass, Jeffrey P. (1976). The Kamakura bakufu: a study in documents. Stanford: Stanford University Press. __________. (1974). Warrior government in early medieval Japan: a study of the Kamakura Bakufu, shugo and jitō New Haven: Yale University Press. Ōyama Kyōhei. Kamakura bakufu 鎌倉幕府. Tokyo: Shōgakkan 小学館, 1974. Titsingh, Isaac. (1834). Nihon Ōdai Ichiran ; ou, Annales des empereurs du Japon. Paris: Royal Asiatic Society, Oriental Translation Fund of Great Britain and Ireland. OCLC 5850691.